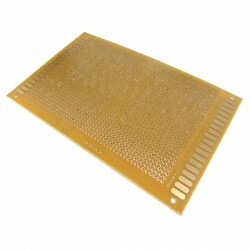 V It is a PCB Test Experimental Board, It has small size, high efficiency, long term stable and re.. 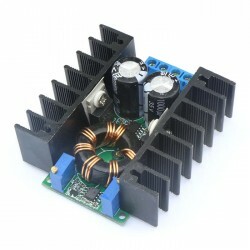 It is a Adjustable Step Up Voltage Regulator Boost charger, voltage range 3.5-30V To 4-30V Boost C..
100W boost DC to DC boost power converter, input voltage :DC 11-35V, output voltage DC 11-35V, Ma..
150W Power Supply Module/Adapter, input voltage: DC 10~32V, output voltage: DC 12~35V, Output Current: 10A (MAX), Conversion efficiency: 94%, Easy to drive 65W 90W dual-core notebook. 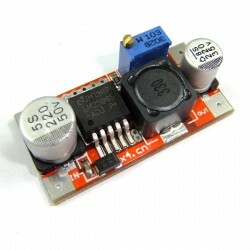 Suitable for Car laptop power supply/DIY Adapter etc. 1. DIY an output adjustable vehicle power supply, connect the 12V input, and output could be 14-35V(adjustable freely), However, the output voltage can not be less than the input voltage. 2. Car laptop power supply: connected to 12V power supply, output voltage regulation as your notebook need. 3. Boost charger. You can use the 12V power supply to charge battery more than 12V, for example, 24V battery.